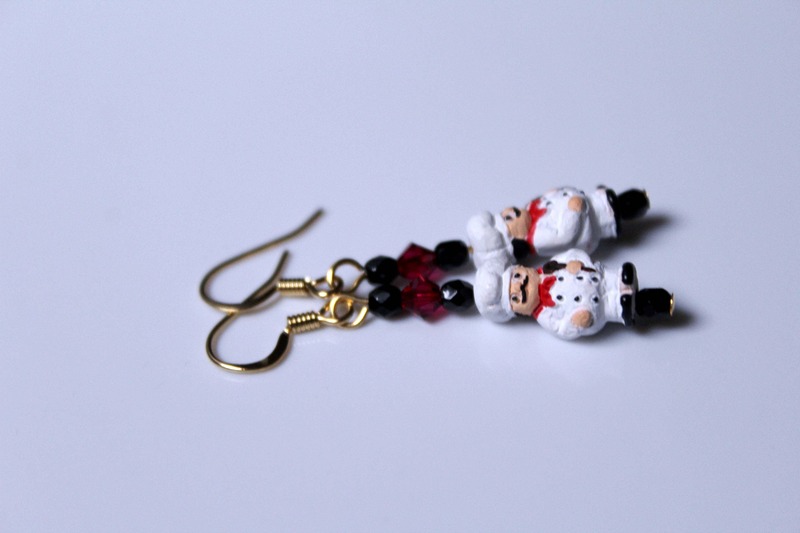 These adorable chef earrings would be the perfect accessory for a graduate from culinary school, a favorite chef you may know, or even that home cook who fills your belly with delicious food every day! 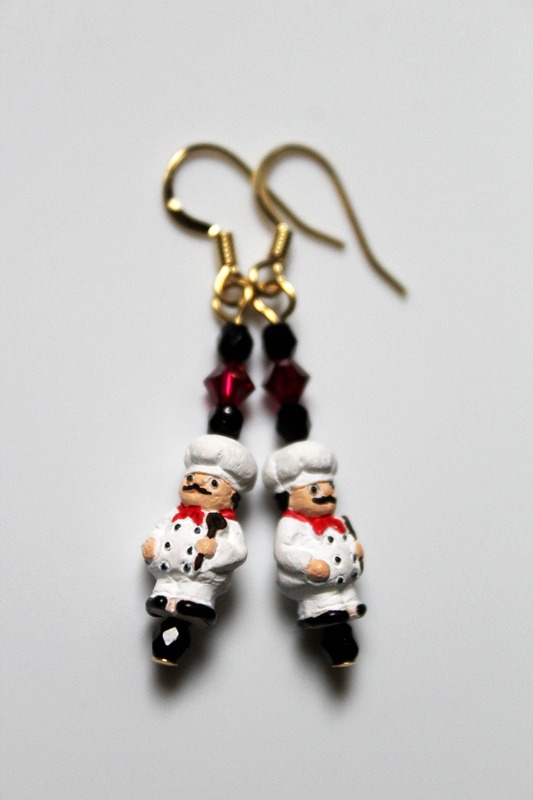 The top of the earwire, down to the bead under the chef is approximately 1.75 inches long. They are not big, heavy, or bulky in any way. The chef bead itself is slim and measures 8mm wide. Please note: The red beads used are Austrian crystals. 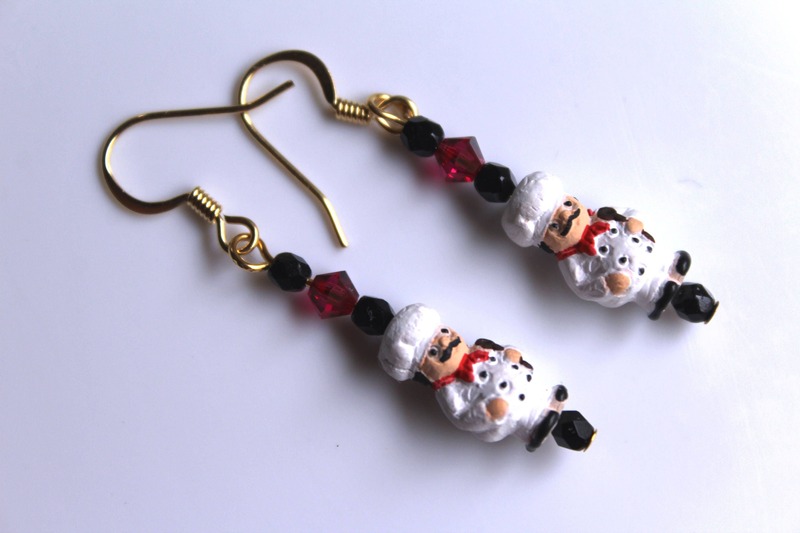 This design is an original, created and handmade by Michele from MichelesAManoDesigns.